Today the Insafe and INHOPE networks (the European network of Safer Internet Centres and the International Association of Internet Hotlines respectively), are celebrating Safer Internet Day (SID) for the tenth year running. An initiative of the European Commission’s Safer Internet Programme, this day marks an annual opportunity to engage in making the internet a safer and better place for our children and young people. Since its first edition in 2004, interest in Safer Internet Day has grown tremendously to reach 6 of the world’s 7 continents in more than 100 countries worldwide; including all 27 countries of the European Union. Safer Internet Day 2013 celebrates the theme Online rights and responsibilities with the slogan Connect with respect. 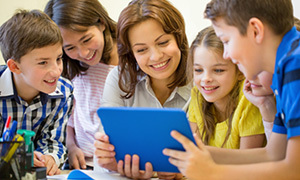 Each year, the Insafe network also produces a range of centralised resources including the customary SID video spot, and a SID Involvement Kit for Schools. To download the SID resources or to find out more about online and offline activities organised in your country visit the Safer Internet Day website (www.saferinternetday.org), a collaborative platform where more than 100 Safer Internet Day committees, international organisations and stakeholders have profile pages where they communicate about their SID actions. You can also follow activity leading up to and on the day using the tag #SID2013 on Twitter. 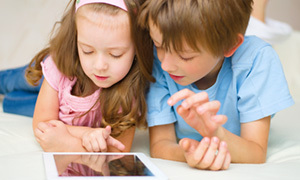 Under the framework of the European Commission’s Safer Internet Programme, Insafe and INHOPE work together to deliver a safer internet, promoting safe, responsible use of the internet and mobile devices to children, young people and their families, and working to identify and remove illegal content online. 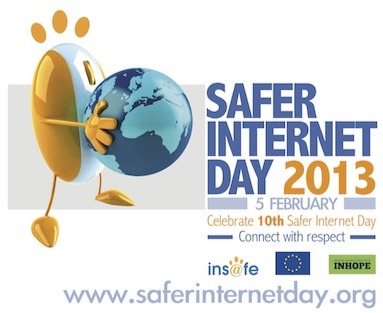 Find out more by visiting the Insafe and INHOPE joint portal at www.saferinternet.eu. Here you will find links to the various safer internet centre services, by country, along with news and events, and FAQs on safer internet issues. Alternatively, you can visit the Insafe or INHOPE websites direct (Insafe: www.saferinternet.org and INHOPE: www.inhope.org). 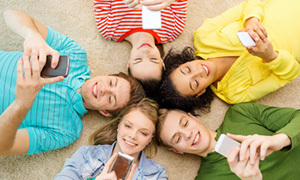 Safer Internet Day is part of a global drive by awareness-raising partners to promote a safer and better internet for all users, especially young people. It is organised by Insafe and INHOPE in the framework of the European Commission’s Safer Internet Programme. 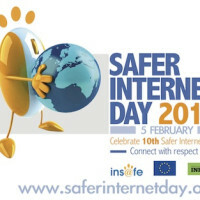 For further information, see www.saferinternetday.org.